Join other veterans from Orange County as the Veteran Business Network (VBN) continues our work in developing a stronger, more interconnected community of local vets in business. Enjoy some libations, eat great food, and build lasting professional and personal relationships that benefit veterans in business while enriching the veteran community as a whole. 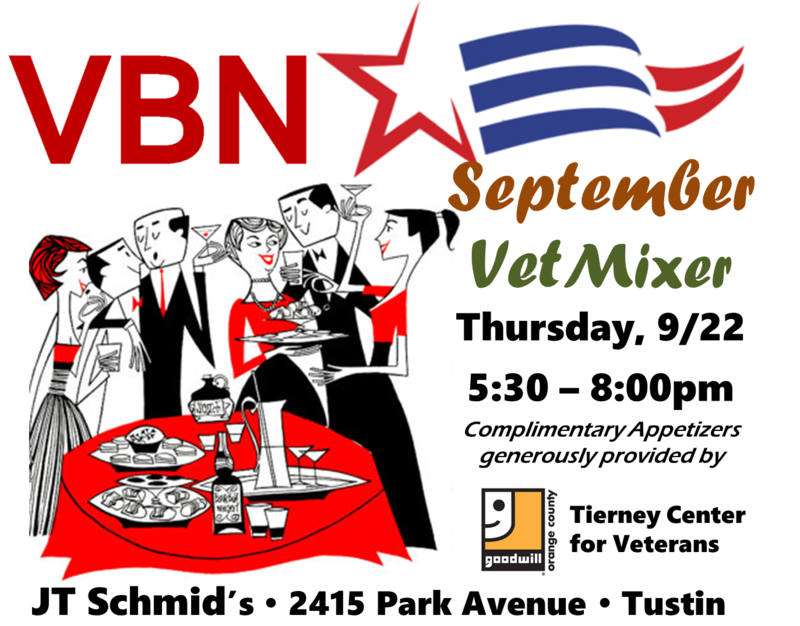 Complimentary appetizers and door prizes will be provided via the generous support of the Goodwill of Orange County’s Tierney Center for Veteran Services.